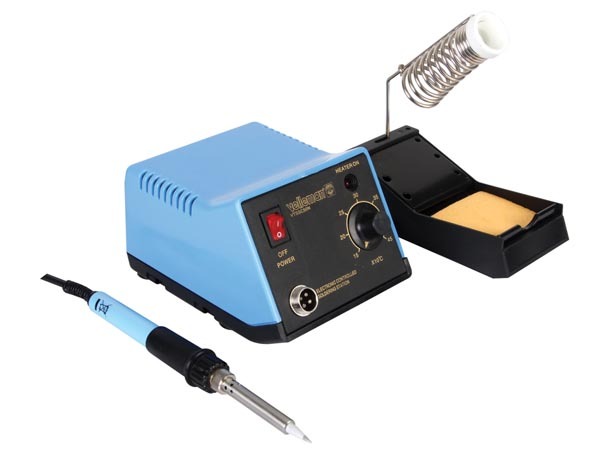 Velleman VTSSC50N Temperature controlled 48W soldering station, which has adjustable temperature range from 150 - 450ºC. The adjustment is made by means of a rotary potentiometer with graduated scale. Supplied with sponge and separate stand, four sizes of replacement bits are also available. Looks like a Weller - but it's cheaper.